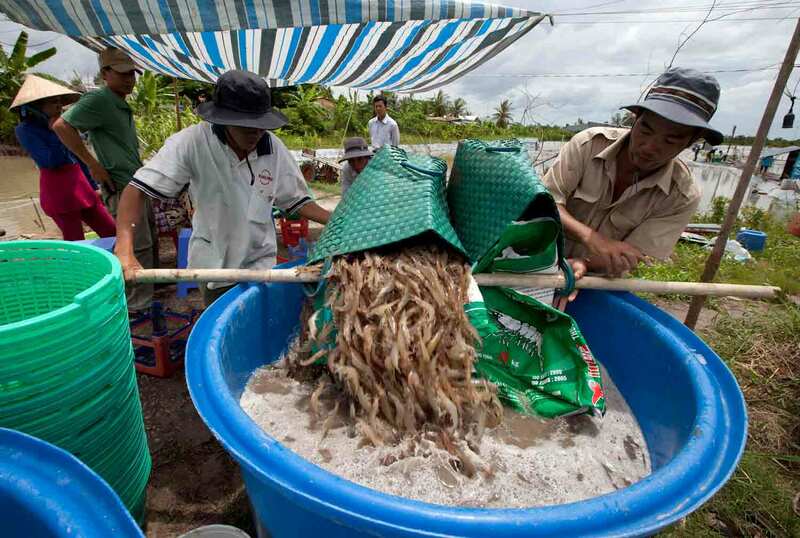 Oct. 11 (Bloomberg) — At Ngoc Sinh Seafoods Trading & Processing Export Enterprise, a seafood exporter on Vietnam’s southern coast, workers stand on a dirty floor sorting shrimp one hot September day. There’s trash on the floor, and flies crawl over baskets of processed shrimp stacked in an unchilled room in Ca Mau. Using ice made from tap water in Vietnam is dangerous because it can spread bacteria to the shrimp, microbiologist Mansour Samadpour says, Bloomberg Markets magazine reports in its November issue. Purchase tea here: www.OrganicSolutions1.com = (IBO# 9630671) detox parasites with organic iaso tea, you’re gonna love it and you will find yourself talking about,… www.teamngd.com watch the 1st video and keep in mind as you watch, “Who do you know that wants to lose 5 lbs in 5 days? & “Who do you know that wants to get paid while losing weight and the more weight you lose the more money you will make? Because results sell!